The Search Engine Optimization formula used by our Abu Dhabi SEO Expert is the proven way of bringing more customers to your website than any other form of online marketing. Top ranking on Google gives extraordinary visibility to your website. This not only attracts more visitors but also gives a solid branding to your brand. Our effective search engine marketing can increase your revenue by making your website visible to the targeted audience who are looking for your services. We work with you as your partner for the growth of your organization. We are always there to answer your questions and resolve your issues related to Digital Marketing. Our monthly reports are not limited to the ranking details. We also keep you updated with the latest updates and changes in the digital marketing industry. We are a part of an SEO mastermind group that includes world’s best SEO experts. We discuss strategies and updates that keep us at the top of the game. We are not satisfied with only first page ranking on Google. Our powerful SEO formula guarantees #1 ranking on Google Page 1 for toughest searches also. All work is done in-house by our own digital marketing professionals. No outsourcing or cutting corners. We do quality work that gives visible results. We have month-to-month worry free contract. If we are unable to deliver and bring the desired results, you can cancel the services at any point of time. Breej Raj is the master of Search Engine Optimization. I have had the pleasure of working directly with him in a number of SEO projects. The amount of the SEO knowledge that he brings to the table is extraordinary. He helped our company delivering the best results on a couple of shared projects. He is a true expert and I highly recommend him. Get Customized Plan to fit your budget. If you are on a budget, we can split the work into many phases and you can continue on the contract basis. In this, we will do one part at a time. So, instead of optimizing the entire website, we will optimize one page at a time. This will help you minimizing your cost and getting the work done in the right way. 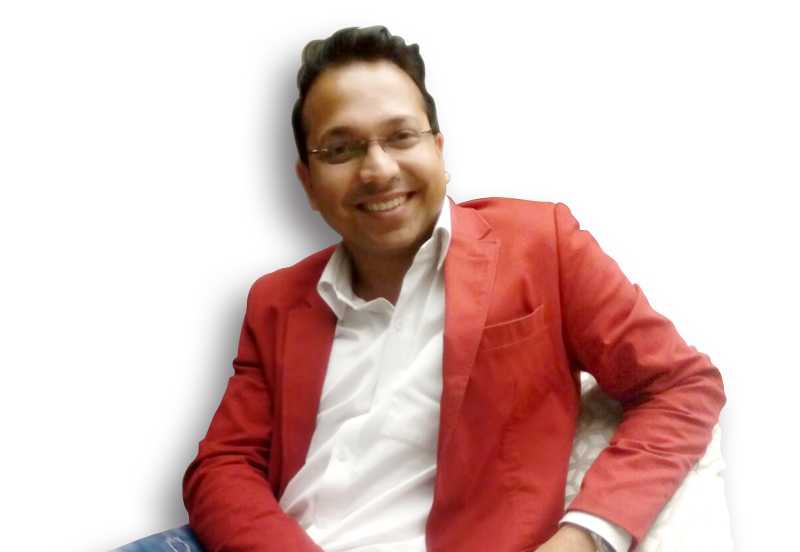 Hello, I’m Breejraj, a leading Abu Dhabi SEO Expert. I would love to help rank your website at the top of the first page of Google, so that it can get more visibility, more traffic, and hence more customers. If you search for Abu Dhabi SEO Expert, you will find this page on the first page of Google by the power of our effective SEO. If we can rank our website for the keyword, Abu Dhabi SEO Expert, we can also rank your website for the keywords related to your market. We feel proud of the work that we do and the service that we provide. We are the #1 SEO agency not only in Abu Dhabi but in the entire UAE. We are amongst few SEO agencies that will guarantee a page-one result on Google or will give your money back. So with us, you are completely secured. You don’t have to lose anything. Call us today to find out how we can help you in growing your business. And don’t worry, your phone will not be answered by any pushy salesperson. You will talk directly to the Abu Dhabi SEO Expert, Breejraj. When your website ranks on the 1st page of search engines like Google, Bing, and Yahoo, it gives a huge credibility to your brand. Most of the people who searches on Google believes that the results that appear at the top are the best brands available for the products or services they are searching for. So, irrespective of the high quality of your products and services, if your website isn’t at the top of the search results, your potential customers or clients won’t find you. With our effective SEO services, we can rank your website in the top 3 search results of Google page 1 that will not only provide you more traffic but will also build your brand and get the trust of people. There are billions of websites but Google can include only 10 of them on the first page. Well optimized websites get more points to rank higher than other websites. Our Abu Dhabi SEO Expert can rank and keep your website at the top of Google Page 1 so that you can get constant targeted traffic. Contact us today, and we can show you how to boost your business. Abu Dhabi is the capital of United Arab Emirates (UAE). It is located on the island of the Persian or Arabian Gulf. It has a hot desert climate. Abu Dhabi has been divided into major 3 parts. Abu Dhabi City, Al Ain and Al Gharbia. The city is full of life. The main attractions of the city are Sheikh Zayed Grand Mosque, Ferrari World, Corniche beach, Marina Mall, Abu Dhabi Mall, Al Wahda Mall, Saadiyat Beach, Yas Island, Yas Waterworld, Al Raha Beach and Heritage Village. Yas Marina Circuit is the home to the annual Formula 1 Etihad Airways Abu Dhabi Grand Prix. Al Ain is just one and a half hour drive from Abu Dhabi city. It is a UNESCO World Heritage Site. It has historic buildings, Forts, Museum, Jebel Hafeet mountain, Al Ain Oasis and the famous Al Ain Zoo. Al Gharbia is the western region of this emirate. It has the incredible and dramatic scenery of the desert and dunes. I read this article and found it very interesting, thought it might be something for you. The article is called Abu Dhabi SEO Expert and is located at https://breejraj.com/abu-dhabi-seo-expert/.